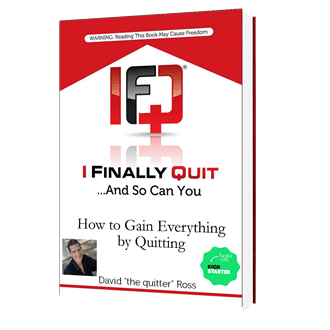 About David "The Quitter" Ross - I Finally Quit, Inc.
David Ross is the creator of the Quit Smoking Blueprint which is a road map to quitting that identifies your specific triggers; customizing your plan of action based on your behavior and the behavior of those around you. Always understanding the importance of community and “tribe” when it comes to quitting. He is the author of I Finally Quit…And So Can You: How to Gain Everything by Quitting and is inspiring quitters to inspire others. Are you with the press? My EPK / Media Kit is available here. Hi, I’m David “the quitter” Ross. This is my fifth attempt at the “about me” page over the years. The first one I wrote was what I thought sounded “right” based on many other sites I’d seen, you know the ones written in the third person … even though they’re typically written by the owner of the site. So, that’s how mine was. Then, I paid a professional to write the second, third, and fourth ones, and they just seemed … weird … and, in my opinion, obviously written by someone else. So, on the this attempt, I decided to break from the mold and speak from the heart. Which …in many ways, is usually the best route to take. Anyway – what do you want to know about me? I’m 47 years old. I live in San Diego. 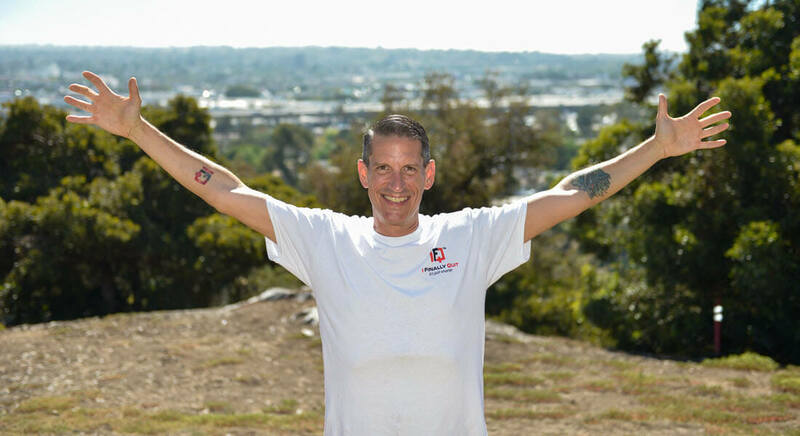 I struggled with smoking and drinking for more than two decades … then, finally quit those (and a couple of other “bad” habits). I spend most of my time thinking about quitting techniques, working out, yoga and trying to be … better. You’re probably wondering, Is This Guy Worth My Time And Attention? For many visitors to this site and particularly this page, my answer is NO. I can not quit for you. For some reason, people equate working with David “the quitter” to David “the quitter” is going to make me quit. But, I can not be there to knock the smoke, drink, fast food, or whatever it is out of your hand. It would make things easier on both of us, if I could. … It just never happened. I had to do the work myself. And, it wasn’t easy. I struggled for more than two decades. Over that time, one thing I came to learn was quitting is hard … giving up (and losing faith) is easy. Eventually … I got it right. Quitting took lots of work, frustration, “sticktoitiveness”, and perseverance. So if you’re not prepared to commit to roughly ten times more effort than you’re expecting from me, I’m not your guy. Don’t get me wrong, I’ll work very hard for you … I just cannot do it for you. If you don’t really want to quit, you’re not going to quit. No, I’m not saying “if you really wanted to quit, you’d just quit”. That line of thinking doesn’t work for anybody. There’s no “magic” pixie dust, pill, patch, potion, or mind trick that makes cravings and urges just disappear into thin air. Or, take your habit away instantly. Do these products work? I’m not sure about the pixie dust; however, there are plenty of smoking cessation aids and … Of course, they may alleviate some cravings or can act as a mental crutch; empowering us; however, you have to want the end result … you have to want to quit. But if you rely solely on “magic”, you don’t have a plan. You have a short term hope or expectation to (for many of us) a long term problem. It’s like planning your total retirement income around purchasing one lottery ticket. Can that work? Sure, but it’s not the plan most financial planners would give … right? More than likely, that approach … just like looking for the “magic” pixie dust … is a waste of time. Time is the only thing we cannot get more of and it’s just too valuable to waste. If you’re looking for the “Fast and Easy” way, I do not want to help you. It’s very important you understand what I’m telling you. I can help you, I just choose not to. I’m capable of helping … but I refuse to do it. “Why won’t this guy help me”, you ask? And not being committed to yourself or the online community I’ve helped build, is the quickest way of you doing damage and undermining other’s successes. Look, quitting takes HARD WORK. For me and many others (and hopefully YOU too), quitting the action(s) or behavior(s) that led you here, may be THE HARDEST THING you ever do. But, when that HARD WORK pays off and you can proudly say “I Finally Quit”, you will become the inspiration to countless others; helping them do the same. And, THAT is who I want to work with. ✔ Open and obvious offers for you to buy advanced coaching, monthly memberships, essential oils or attend events. Can you believe I just told you flat out that you’re going to receive offers to buy something from me? I mean – I have to sell something to have money to pay the bills, so I can continually get the message out and help more and more people quit – right? However, I’m not going to try and “sell” you anything. Most people still reading this know they need help and they need support – those things cost money. Now the cool thing is, like I mentioned, I give away action plans, checklists, and free webinars all the time, so I give tons of actionable content, at no charge. When people realize the free stuff helped them, many times they are willing to try the paid stuff. And, it’s the money from those purchases that allow me to run the advertisements, that brought you here. So, it’s all very cyclical. I believe in the old “Show Them You Can Help Them By Actually Helping Them” trick, taught to me by some of the very best (in my opinion) business owners in the world. That “trick” of helping … works! “How Do I Know If Your Stuff Is Any Good?“, you ask. If you like them, you’ll probably like my trainings and for sure, you’ll love my book. If you don’t like them, you won’t. You should know I’m not a guy who “studied” quitting, I’m a guy who quit. What’s the difference? You already know, right? Rather than reading about bad habits and addictions, I had them … and still do, I suppose … but I’ve learned to overcome them and I’m willing to pass that knowledge on to you. That makes sense … right? You see … I started smoking as early as ten years old … stealing one or two out of my mom’s purse, but really picked up the smoking habit at the age of 15. Just a few months later … I was addicted. I bought my first quit smoking cessation product at the age of 16. It was a plastic cigarette – way before they had vape pens … by the way, if you are using a vape pen … who are you kidding? Get rid of it. Sixteen … that’s the age I was when I began drinking alcohol. By 17, I was drinking beer two and three times a week. By 19, it was a daily occurrence. To say I was addicted is an incredible understatement. quitting countless times, just to give up and light up … again. Regarding smoking, things finally clicked into place for me when I was 35 years old and “I Finally Quit”. That feeling of relief was tremendous and I wanted everyone to feel … THAT. But, at the time, I was homeless. I had drunk myself out of nearly every meaningful relationship I’d ever had, my apartment and car were history, and I had no income to speak of. “Who would listen to me?”, I thought. Although I quit smoking, I was still drinking at an alarming rate … about a fifth of bourbon every day – straight out of the bottle. How much is a fifth? It’s the equivalent of drinking more than 4 bottles of wine … every day. I was a wreck. I continued to drink, all the while, thinking, if I could follow the same steps I used to quit smoking and was able to quit drinking, I could share these 8 Steps to Quitting with the world. Well, things turned for the worse, when my drinking caught up with me. I drank so much, I ended up in an Intensive Care Unit for eight days – three of which, I was kept in a medically induced coma. After a total of fifteen days, I was released from the hospital and had nowhere to go. I ended up quitting drinking on August 8, 2011 and haven’t looked back. Now, people from all walks of life have joined the IFQ movement, and are able to say “I Finally Quit”. And that’s (the short version of) how I became to be known as David “the quitter” Ross. Check out a recent interview to get the whole story. My main focus is to help you quit any action(s) or behavior(s) that no longer serve a valuable purpose in your life. I’m the creator of the Quitting Blueprint, which really dives deep into the “5 W’s”; which identify the main triggers that keep you engaged with the very behavior you’d like to quit. In my opinion, the Quitting Blueprint is what allows the “magic” I spoke of earlier to actually happen. It takes hard work, but the results and friendships that are built are undeniable. Go to the site’s home page and read some of the articles and blog posts on my site. If you like them, download some of my free reports or sign up for some of my free trainings. If they help you, consider buying my stuff or coaching. 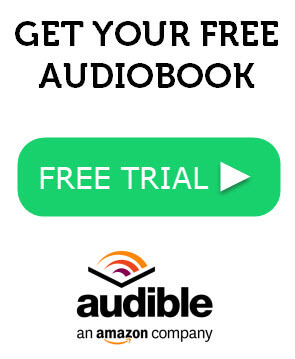 Thanks for reading this page, now … go quit something!